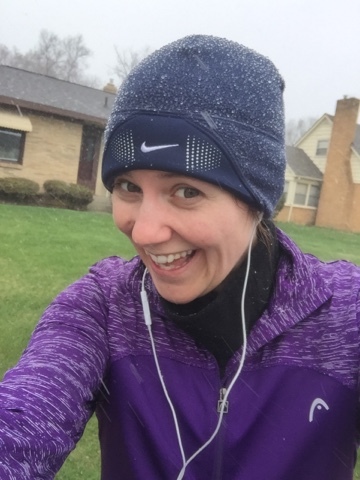 Running through the Storms: Running Re-cap + Sparkly Green Earrings Giveaway! Happy Wednesday to my fellow friends in the blogosphere. I hope this day suits you well. It is raining here and, to be honest, I am ready to see the sun again. I thought for today I should re-cap some of the running I have been doing. 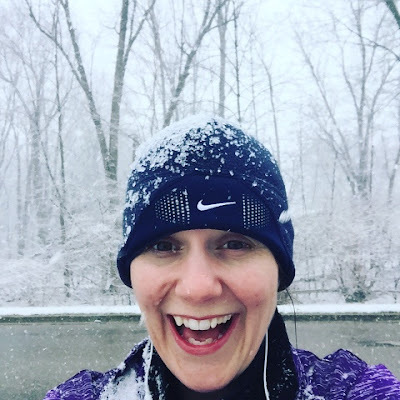 I know that I haven't shared my weekly mileage in and what I have been doing, so let's get to it! I am not the runner I used to be and I am starting to be okay with that. We all have goals, we all have dreams, but my body just doesn't do what it used to. It isn't a lie, it isn't a secret. I've come to terms with it. No sense in lying to myself about, no point in sweating it. It is, what it is. I'm darn happy to run. My time keeps sinking.. That's okay.. We just keep going..
And then it went to this.. In the end, I'm glad I ran the complete Nine miles because, at the end of this month, we are going to run the Flying Pigs Half Marathon! It is my Thirtieth Birthday Present I gave to myself at Detroit Free Press. I couldn't be more excited. I need the long mileage.. I am prepping for a 12 miler here shortly.. I would have had that this past weekend or a few weekends ago if the flu had not gotten ahold of me. Runners adapt to change and re-route plans all the time! You can enter MORE THAN ONCE, EVEN IF YOU HAVE WON! THIRTY DAYS LONG! Everyone is bound to get something! Today's giveaways is witty, a woman who will make you laugh and she is just full of being real! If you've never read anything by Melanie Shankle, get in on this giveaway! "Sparkly Green Earrings" is one of my favorite books and I hope you win it! Happy Wednesday!!! Come back again tomorrow! Thanks for celebrating my Birthday bash! Kelsey was our winner Yesterday! She won an Ulta Beauty Store giftcard! And be careful out there crazy girl! Love the Sparkly Earrings book...someone will be lucky to win it! I wouldn't mind reading the Sparkly Earrings book. Excited to be seeing you tomorrow! You are welcome! It's a funny book! Thanks for the great celebration and giveaways, Sarah! Aww..I missed this day's. Happy Birthday celebration!